Organisations active in vocational education and training (VET) can receive funding for projects which include sending their learners and/or staff for a vocational training placement in another participating country. Projects must involve a minimum of two participating organisations (at least one sending and one receiving organisations) from different countries. Learners can spend between two weeks and 12 months abroad, while staff can spend between two days and two months abroad. Projects can be carried out over one year or two years. Apprentices or trainees in vocational training schools can undertake a period of work-based training in another participating country. Those who have completed their apprenticeship or course can also participate if their training takes place within one year of their graduation. Staff of VET organisations can deliver teaching or training in a VET organisation abroad. Staff of VET organisations can undertake a work placement or job shadowing in a VET organisation abroad. Any private or public organisation which is active in the field of Vocational Education and Training can take part. Individuals cannot apply for funding directly. Note that the consent of the organisation’s CEO or equivalent is required in order to apply. For full eligibility criteria, please see the boxed text ‘Eligible participating organisations’ in the ‘Mobility project for VET learners and staff’ section of the Erasmus+ Programme Guide. Funding is available for travel to and from the host country; to cover the participants cost of living while abroad; and to support the sending organisation with costs directly linked to coordinating the project. Additional funding for participants with special needs is available where sufficiently justified in the application form. Funding is calculated on a per participant basis and amounts vary depending on the receiving country involved. For full funding details, see ‘What are the funding rules?’ in the ‘Mobility project for VET learners and staff’ section of the Erasmus+ Programme Guide. Learners enhance their professional, social and intercultural skills though experience of a new workplace and country. The experience also serves to increase self-confidence, motivation and employability prospects, and improve foreign language skills. Staff can improve their competences in teaching and training, and gain a broader understanding of VET practices in other countries. Organisations increase their capacity to engage at international level, and are encouraged to use their project experience to innovate and improve their own practices. The enhanced European and international focus of the organisation can in turn increase its appeal for future learners and staff. Strategic Partnerships allow organisations active in Vocational Education and Training to cooperate with other relevant organisations to promote the development and use of innovative methods. A core element of Strategic Partnerships is that project results must be shared with the wider community to ensure impact beyond the organisations directly involved. A minimum of three organisations from three different programme countries must take part. There is no maximum number of partners, but funding for managing the project is capped at a level equivalent to ten organisations. If all the partners are VET education organisations, the partnership is ‘sectoral’. If any partners are from different sectors, the partnership is ‘cross-sectoral’. Projects can last either two years or three years. NB: Irish VET organisations can participate as either ‘lead’ or ‘partner’ organisations. Only the lead organisation of a partnership applies for funding. Any private or public organisation which is active in the field of VET can take part. Note that the consent of the organisation’s CEO or equivalent is required in order to apply. For full details of eligibility criteria, VET priorities, and possible project activities, please see the VET Summary Guide and the ‘Strategic Partnerships in the field of education, training and youth’ section of the Erasmus+Programme Guide. The maximum funding available is €300,000 for two-year projects or €450,000 for three-year projects. All projects can receive funding for project management and implementation; apart from these, eligible expenses depend on the types of activities in the project. See the VET Summary Guide (coming soon) and ‘What are the funding rules?’ in the ‘Strategic Partnerships in the field of education, training and youth’ section of the Erasmus+ Programme Guide for detail. In 2016, €1,222,059 has been allocated for VET KA2 projects. €37,500 of this is reserved for Transnational Cooperation Activities. The remainder is split between KA202 Strategic Partnerships supporting Innovation (90%/€1,066,103.10) and KA202 Strategic Partnerships supporting exchange of good practices (10%/€118,455.90). Strategic Partnerships reinforce interaction between practice, research and policy in VET. They help organisations to better address the needs of their target groups, and reinforce connections between VET and work. They also allow innovative techniques to be investigated, analysed and transferred between VET systems. Erasmus+ provides funding to Irish Vocational Education and Training organisations to carry out a wide range of projects, including sending learners and/or staff for vocational training placements in another participating country (under Key Action 1) or cooperating with other organisations to meet common challenges in innovative ways (under Key Action 2). Click the red Key Action tab on this page to find out more. VET organisations may also participate in some parts of Erasmus+ that are managed centrally by the European Commission, including Sector Skills Alliances and Knowledge Alliances. 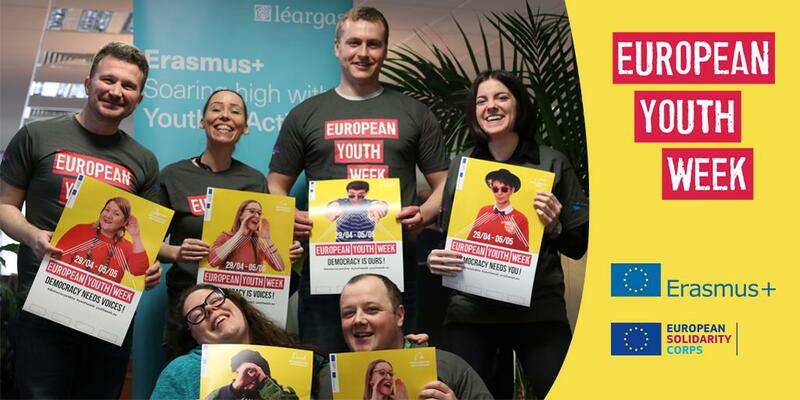 Erasmus+ emphasises the organisational, local and national benefits of participation so while individual staff and learners can take part in the projects, it is the organisation rather than the individual that applies for project funding. However, individuals (with the support of their organisation) may apply to attend international meetings called Transnational Cooperation Activities (TCAs) where relevant. To see the Erasmus+ project lifecycle and how to apply, click ‘How to’.